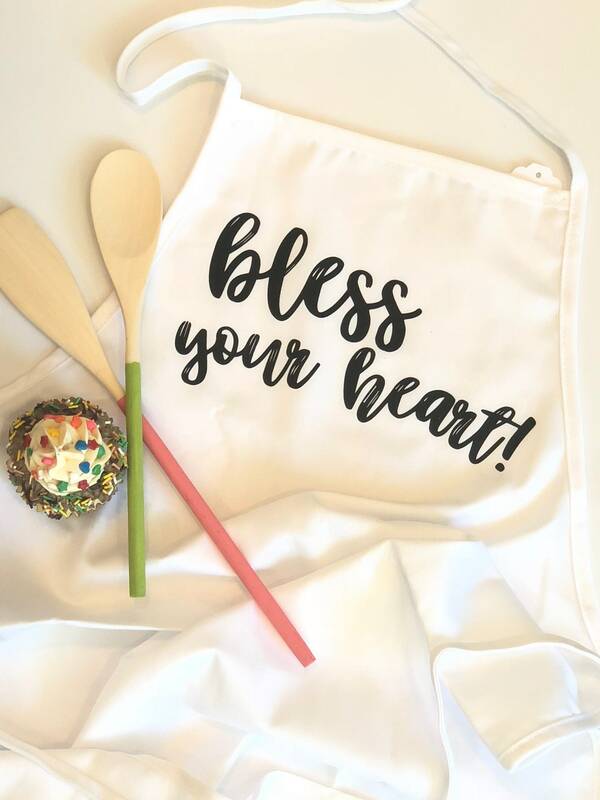 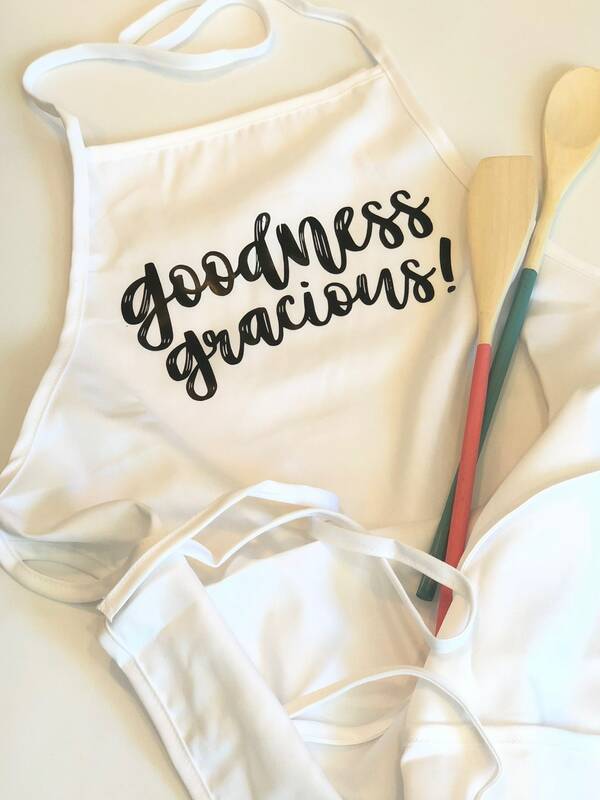 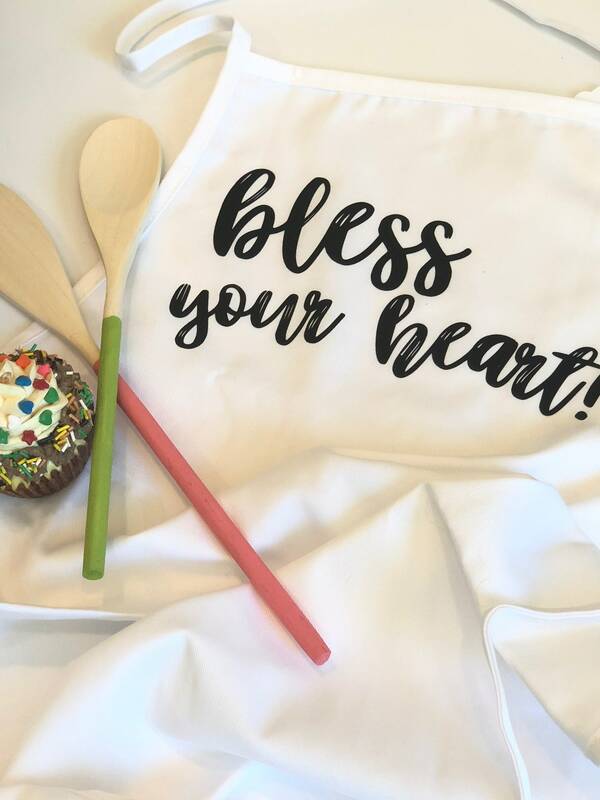 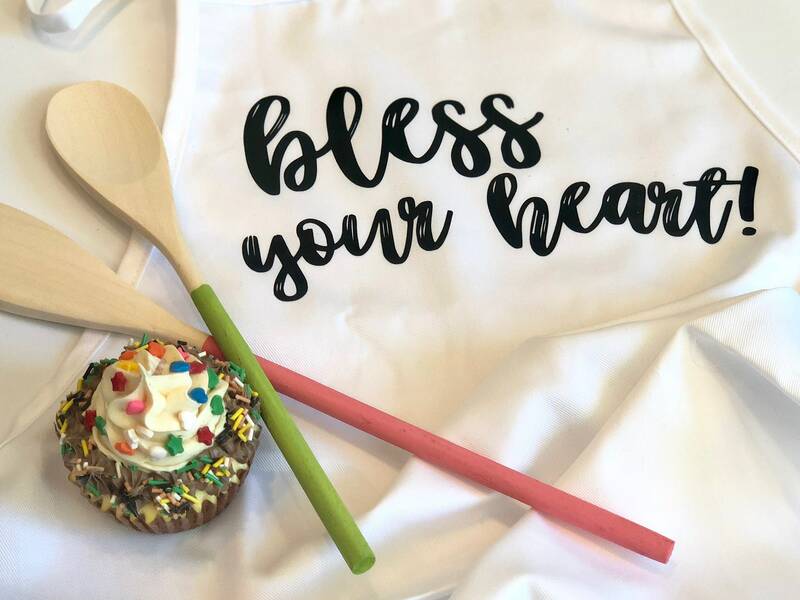 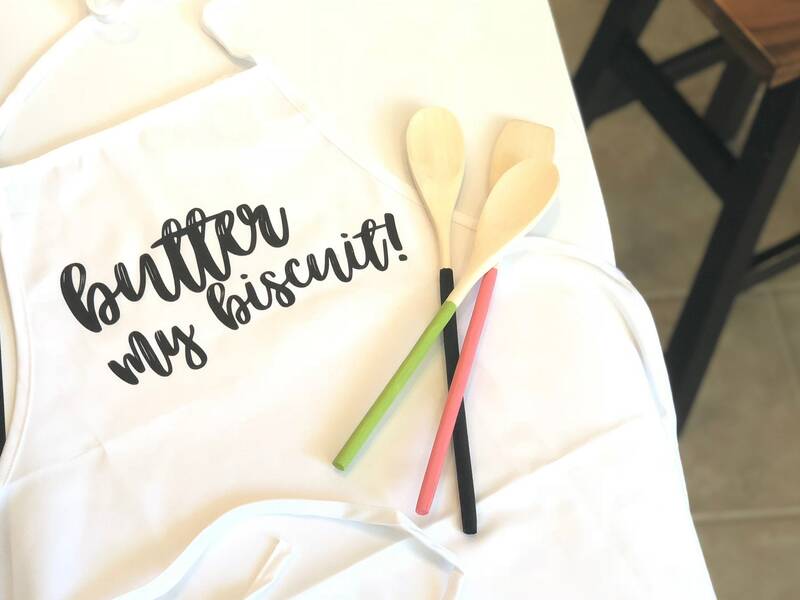 Mix up some southern sugar & spice while wearing this adorable apron. 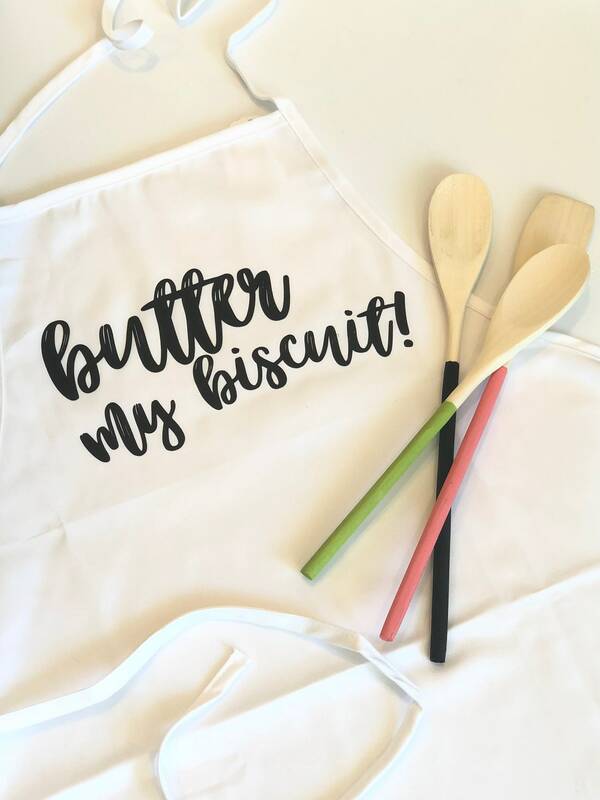 Choose from three southern sayings: Bless Your Heart, Goodness Gracious, & Butter My Biscuit. 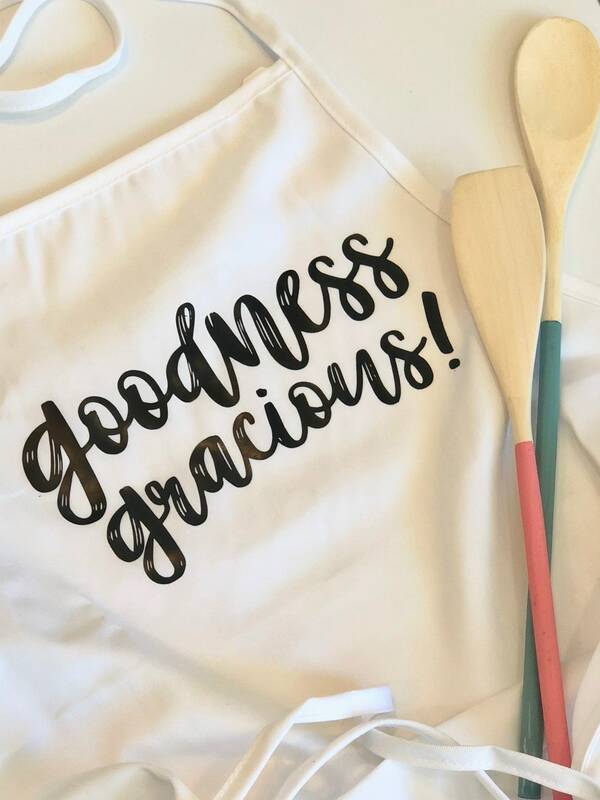 The adult size apron is 65% polyester & 35% cotton and features three pockets. 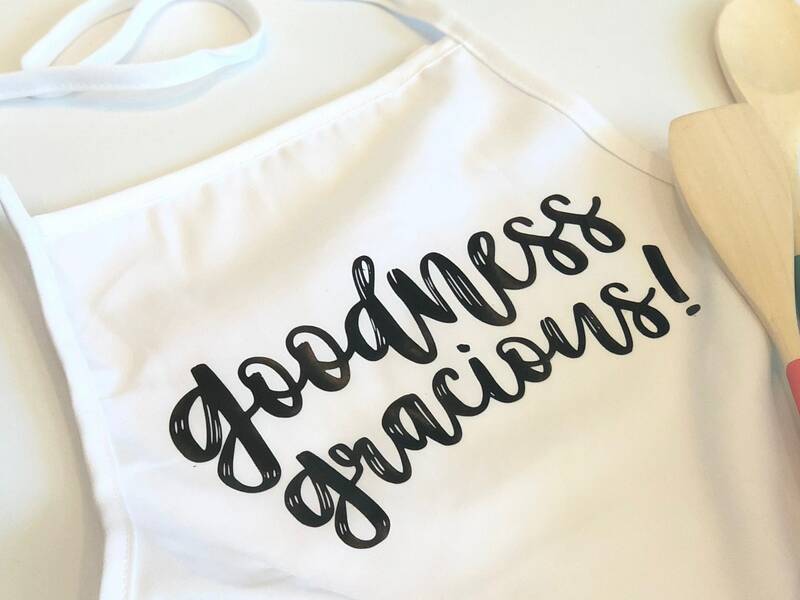 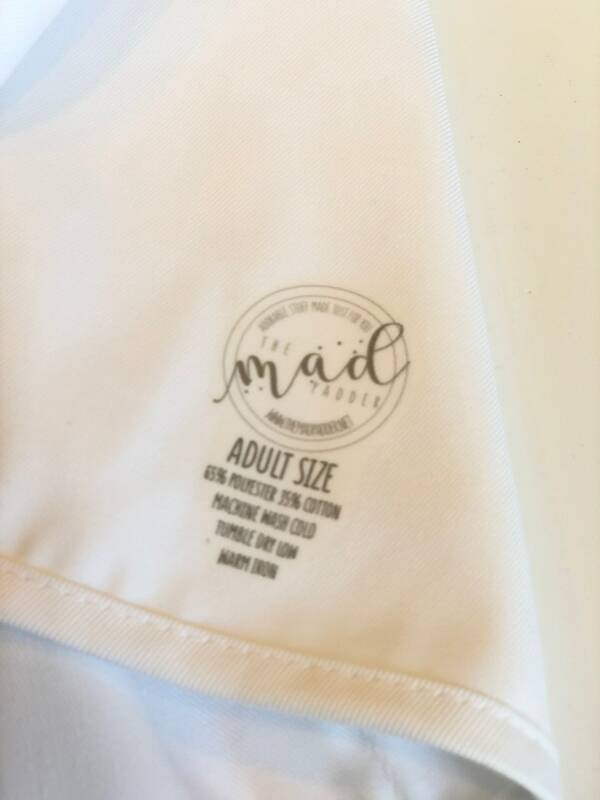 The design is heat-pressed and the apron is to be machine washed in cold, tumble dried on low, and pressed with a warm iron.